Options include solid, filtered, and brush gromment styles. 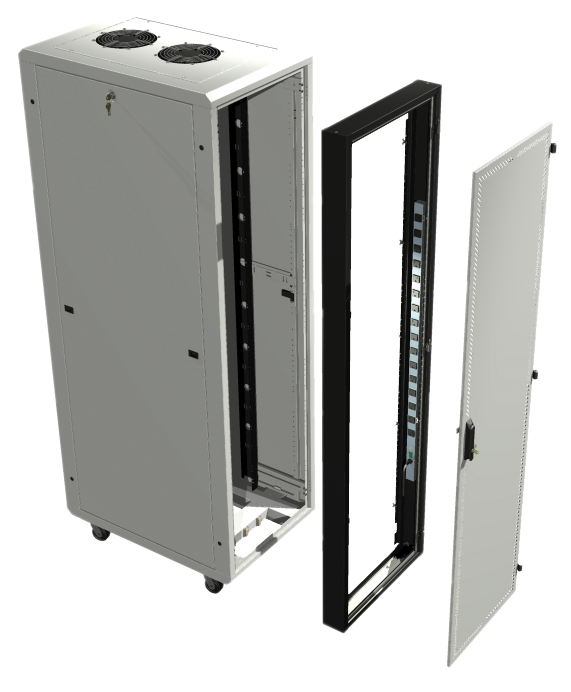 Cabinet extension kits come in 4″ increments and are stackable to get up to 8″ of additional equipment depth on the front, the rear, or both, allowing up to 16″ of added depth to your enclosure. The kit comes with easy to assemble instructions and allows you to re-hang your existing door on the cabinet extension. 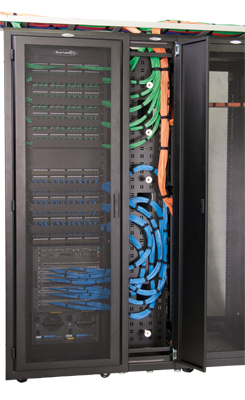 Great Lakes Cable Management Accessories offer accessories that can be used by themselves; when combined, a complete cable management solution can be created! 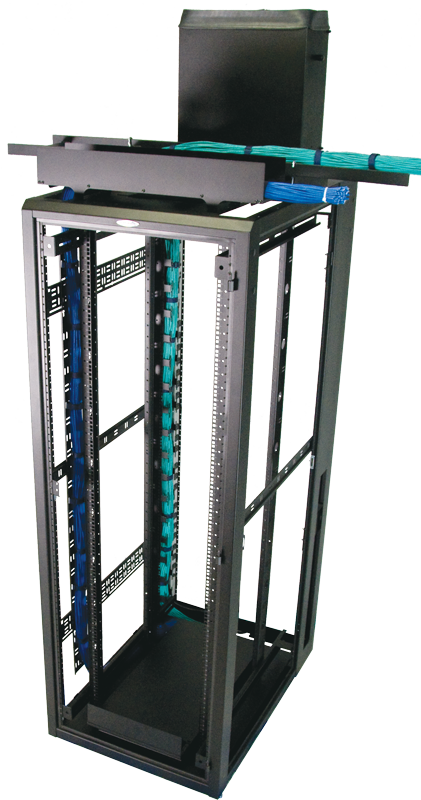 Great Lakes Enclosures have a wide variety of handles that can be integrated into the enclosure. 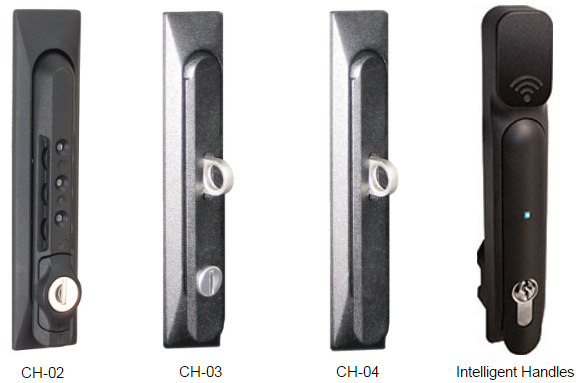 Traditional keyed mechanical handles can include 3 or 4 pin combination or hasp locks. 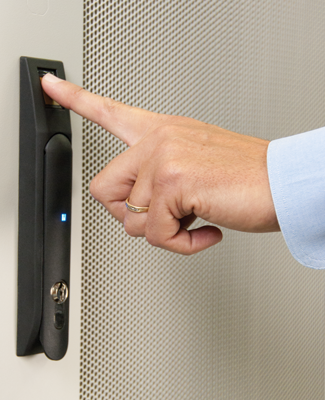 Electromechanical handles can range from stand-alone RFID or PIN, security system integrated, or even biometric handles. 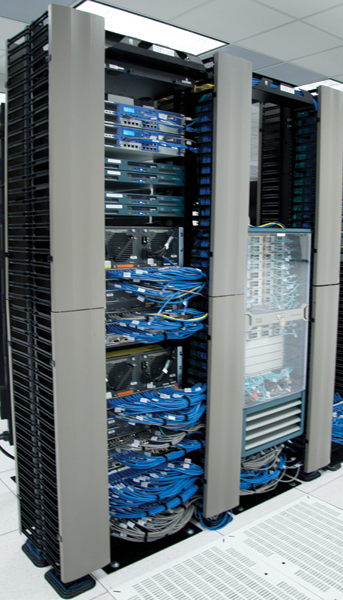 db’s proprietary technology uses an eight-point algorithm to develop a unique fingerprint signature without requiring the storage of any detailed personal information on the individual. db technology also includes Live Finger Detection, LFD, and the technology has never recorded a false positive. Our proprietary Flexible Mounting Profile (FMP) is a series of holes along each rail, positioned at one- RMUincrements, outside of the standard pattern for EIA 310-D compliant railmounted equipment. 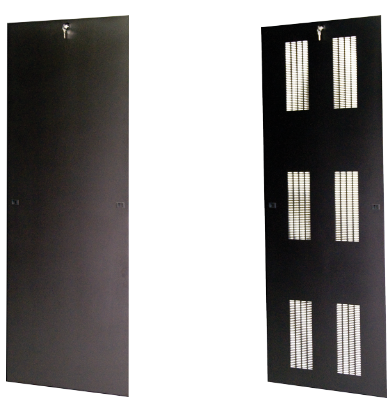 Pair of Locking, Lift-off, Vented or Solid Side Panels for 30″ to 91″. 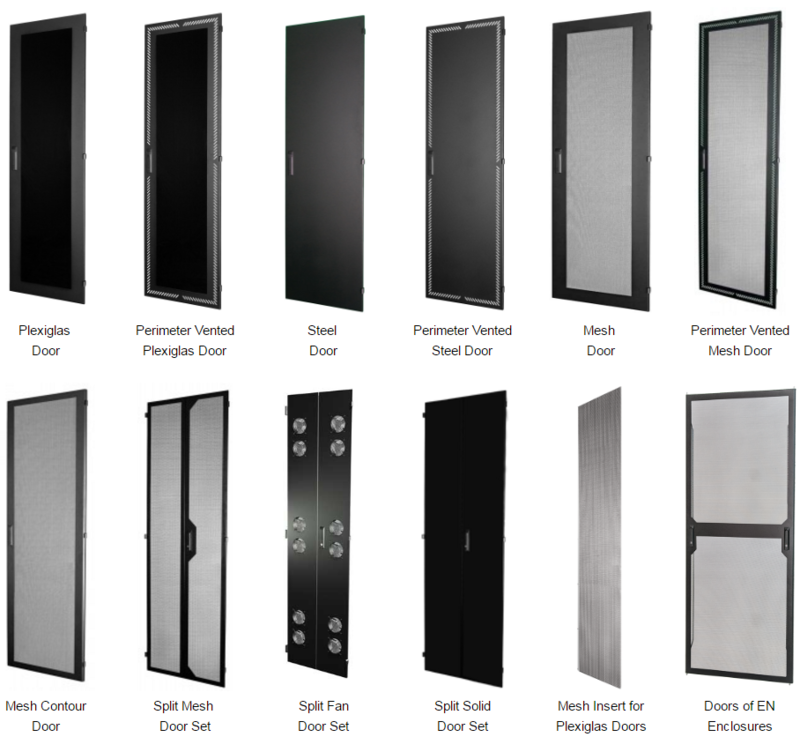 Top Panels for ES, EN, and E Series Enclosures.